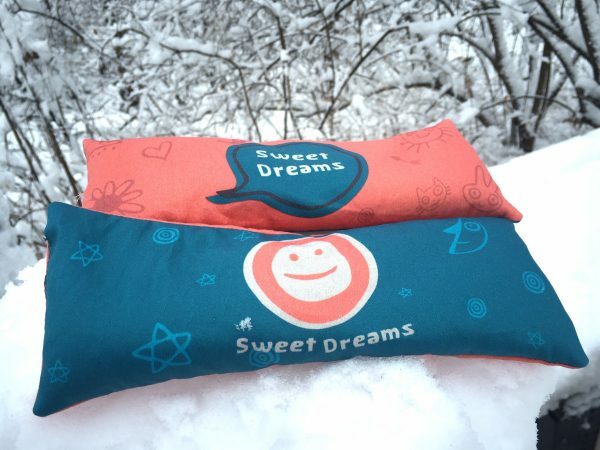 Oh how cute are these? 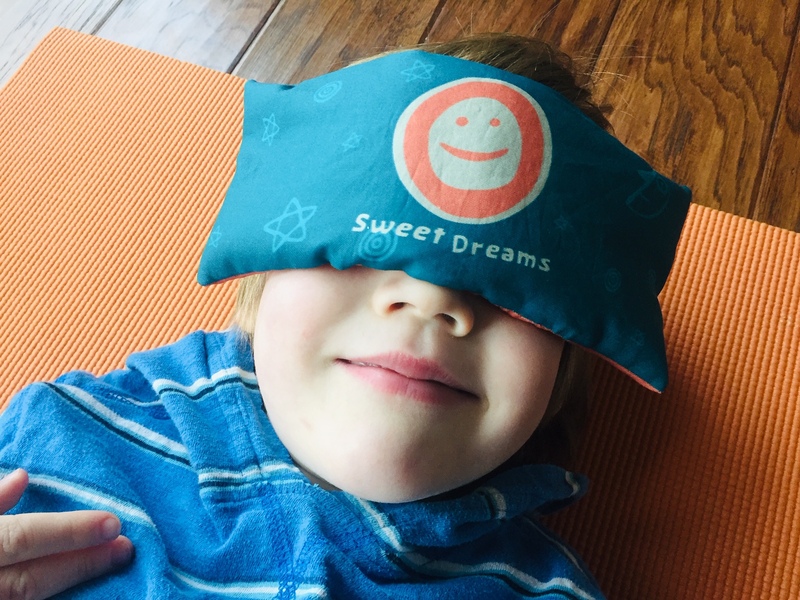 My kids sleep with their eye pillows every night – sometimes on their eyes, sometimes they snuggle with them or have them on their pillows. 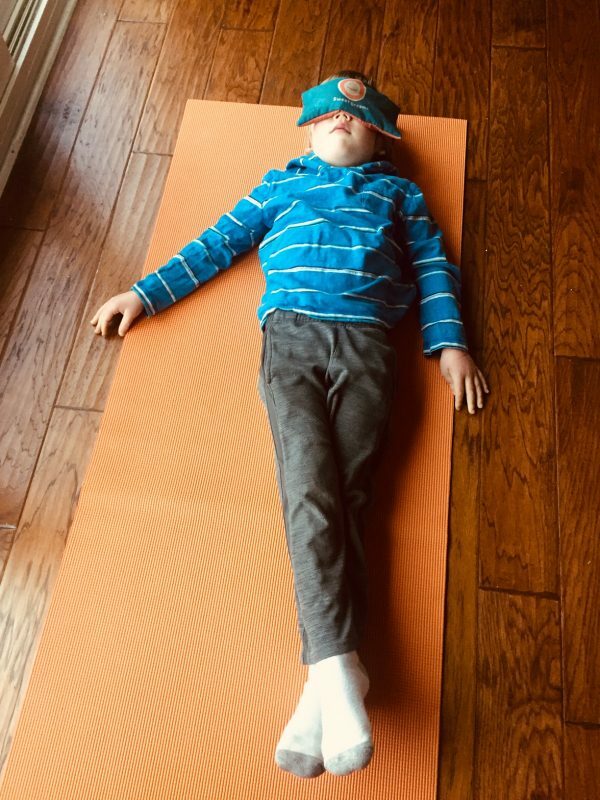 The peaceful scent of lavender buds helps them fall asleep. Now when they get a whiff of lavender they breathe a little deeper and feel more calm. It’s sweet to see. 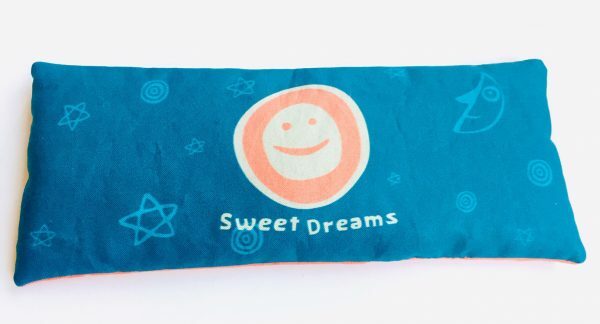 The message of “sweet dreams” is something we all need as we drift to sleep. 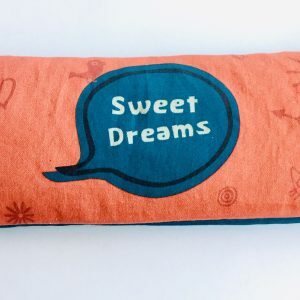 If you have trouble relaxing or falling asleep, or experience stress, headaches or anxiety during the day, try breathing the scent of lavender to calm your nerves. 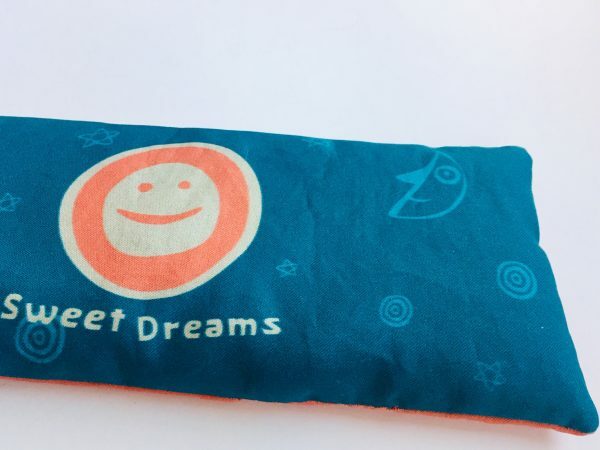 These eye pillows are created with custom designed organic 100% cotton, organic flaxseed and organic lavender buds. 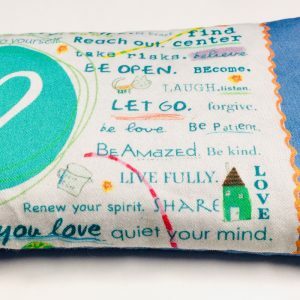 They are made with a whole lot of love and infused with Reiki’s healing energy. 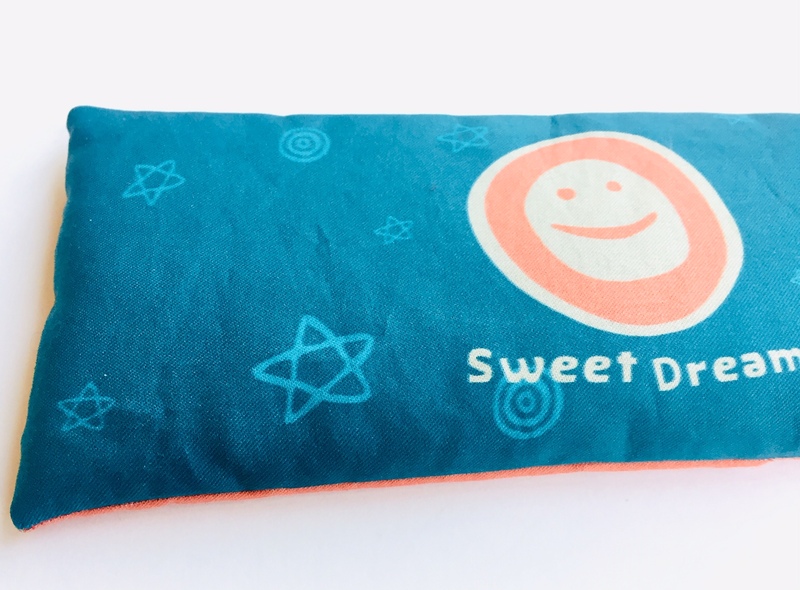 When you purchase an eye pillow, you’ll also receive access to free guided audio meditations for relaxation. You can place in the freezer in an airtight container to help with headache relief and to reduce puffy eyes. You can also heat in the microwave for 30 seconds if you prefer to try it warm. Or just keep by your bedside and enjoy at room temperature any time. 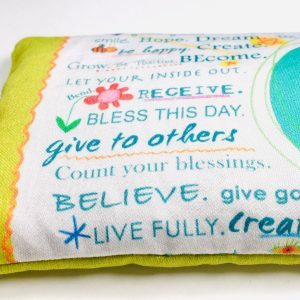 The lavender scent can be refreshed simply by rubbing the pillow in your hands. You can clean the surface with a damp cloth as needed, but do not immerse in water. 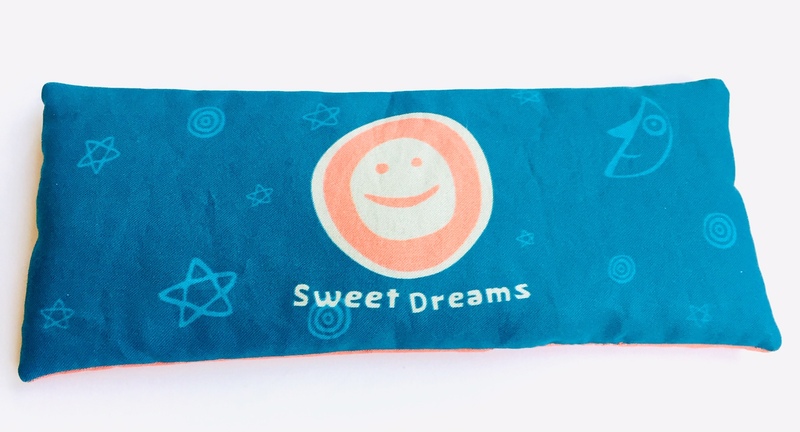 You are going to love this eye pillow and the peace it brings to your life.